A passage planner is a perfect way to make sure that all of your bases are covered. There is an old saying that “failing to plan = planning to fail”. A Passage Plan is a written plan you prepare in advance to record all of the necessary information for a safe sailing trip. It should be sufficiently detailed to cover all 'legs' of the voyage, readily accessible for all crew, and legible, clear and understandable as others may have to read it. It can be included in your log book or recorded separately (my preference is to include it in a separate section in my Log Book which is a 3-ring binder). Not only will having that written plan at hand ensure a more relaxed trip but the planning itself can be a fun way to prepare for the voyage. And this applies even for a short trip. 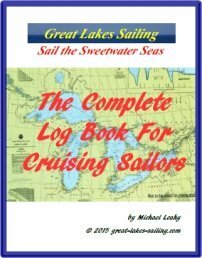 Great Lakes Sailing's The Complete Log Book For Cruising Sailors includes a detailed Passage Planner. This Planner addresses every aspect noted in this article. It can significantly improve your enjoyment of your cruises. Click here for details. The Passage Plan addresses 3 critical areas: the boat, the crew and the voyage itself. Is the vessel suitable for the passage? Is she in a good state of repair?. Is she suitable equipped in terms of safety equipment, navigation tools, food/water and fuel? Checklists that address these issues help immensely to answer these questions. Do they take time to go through? – yes. Are they worth it? - totally. These checklists also help avoid a poorly planned departure. Poorly planned departures are also usually rushed. And, if you rush, it is almost inevitable that you will overlook something. Often things like a pre-departure briefing will be skipped to save time – the assumption being that it will done as you head out. It likely won't and even then you will be too busy to do a proper briefing and answer questions. Rushed departures are usually always a contributing factor in serious marine accidents. The weakest link in any passage is often the crew. What is the experience of the crew? If the boat or the master is disabled, does the crew have the skills to call for assistance, navigate the boat, bring her to a safe harbour? If skill levels are low, this will impact the crew briefing. It might also raise the question of skill training during the passage (never a bad thing!). What is the health status of crew members? Are there potential problems that need to be addressed (eg heart condition, diabetes, seasickness)? A prudent master will make adjustments to the passage plan to forestall potential problems. What are crew expectations? The master may enjoy long, overnight passages but if crew are looking forward to visits in various ports, there could be some disappointments in store unless these expectations are sorted out and agreed upon by all. Crew planning should take into account the necessary paperwork. Especially if you are crossing an international boundary, each crew member will need proper ID (passports). You need to know if any crew member could be restricted from entering a destination country. You also need to be totally clear about illegal substances or restricted items. Having illegal drugs on board or a hand gun (entering Canada for example) can result not only in serious legal problems but potential seizure and complete loss of your boat! All of these will play into your Crew Briefing. Have a checklist that you can use to brief crew members about the boat, her systems, radio, safety equipment, etc. (On my boat, nobody touches a switch or button without my knowledge - ever) Do you have standard operating procedures (SOP's)? eg: are children allowed on the foredeck? How does the head work?, etc. This briefing is vital if the crew is less experienced. It will give them confidence and improve the overall enjoyment of the voyage. This is where the fun begins – really! Start with some basic research on where you want to go. There may be hidden gems worth visiting that without some research, you may miss altogether. And the Great Lakes are replete with fabulous place to visit, such as natural wonders (Baie Fine ON, Sleeping Bear Dunes in MI), museums (The Shedd in Chicago IL, the ROM in Toronto ON or the Wisconsin Maritime Museum in Manitowoc) and community festivals (the Cheeseburger in Caseville festival in Caseville MI). Who would want to miss these and so much more! Pay attention to the weather patterns for the geographic area you are cruising and the time of year. Safety is you number one consideration. As you get closer to your departure date, update your weather synopsis. Make sure you have the correct charts. Begin your planning with a large-scale chart. This can give you the kind of overview that is simply not possible on a small-screen tablet or laptop. It may seem obvious but have all necessary charts on board. A chart that gets soaked can still be used – can't say the same for a tablet of laptop. Review and update Notices to Mariners (NOTAMs). Here are links to the Canadian Coast Guard site for NOTAMs as well as the United States Coast Guard 9th District (Great Lakes). When laying out a plan, it is sorely tempting to plan the ideal route using ideal conditions. Sadly, neither exists. While the starting point and destination can remain constant, the reality is that your route will be determined by the speed of your boat, the weather conditions, crew capabilities and a host of other variables. Many variables simply cannot be accounted for. Your boat may have a top speed of 9 or 10 knots but its doubtful that can be sustained hour after hour, day after day. On a 35' / 10.7 m cruiser, 5 knots may be much more realistic. Your crew may be much happier having a decent breakfast and slipping at 0900 vs 0700 and grumpy. Sundowners at 1700 might be much more appealing than hunting for a slip at 2200 with that same grumpy crew! Nothing is worse than a schedule. Few things lead to real problems more than letting a schedule dictate your sailing plan. Schedules can kill you by pressing you to make decisions that are neither prudent nor safe. Plan your routes using realistic speeds and time frames. Use waypoints when you change course direction, switch to a different chart (ie one with different scale), or when you alter course to safely pass a charted hazard. 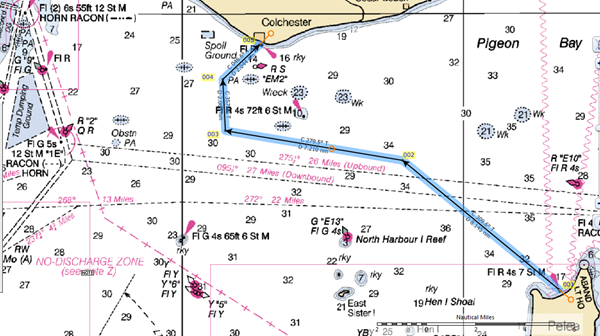 Create the waypoints on your chart first. Then enter them into your chart plotter or GPS. Make sure they are clearly numbered and clearly named – both on your Passage Plan and on your chart. This will help avoid any confusion. On your Passage Plan, note the latitude and longitude of the waypoint and any conspicuous marks, either port or starboard, that you would expect to see at that waypoint. Also note the Course To Steer (CTS) and distance to the next waypoint. HINT: set your waypoint 3-4 boat lengths away from any obvious marker such as a channel buoy. This reduces the chance or running into it in fog or at night or into any other boat using it as a waypoint! Its easy to foget that getting out of a harbour can be just as difficult as arriving. Note in your Passage Plan the exit route out. Note lights, buoys, masts, etc which can help you orient yourself. If there is the remotest chance of arriving or departing in the dark, the list of marks should include their light characteristics. Note any hazards such as shoals, wrecks, etc that lie along your course. Also note any potential hazards such as strong winds around headlands, the katabatic wind effect sailing across a major urban area, etc. Traffic Separation Schemes along the St. Lawrence Seaway route should be noted. 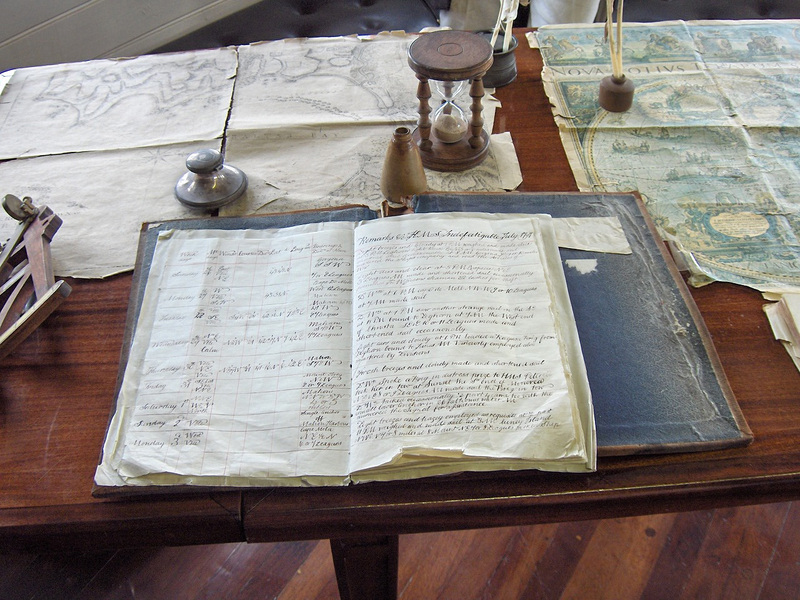 As a prudent navigator you should always be prepared to modify your plan. No plan ever survives first encounter with reality. Every passage plan should have a Plan B. What happens if the original plan – Plan A, goes wrong? If things go wrong, hoping for better luck is not a viable alternative plan. You need a Plan B – an alternate port with a thought through and worked out route. There could be an emergency on board or just simply that the wind and the weather are not in your favour. Whatever the reason your Passage Plan should include information on alternative ports or anchorages. The more information you have to hand the easier it will be to make the decision to divert, especially if it is an emergency. Don’t forget that the port you left is also and alternative port! Make a list of the resources you used to create this passage plan. It may well save time in the future as you plan other cruises. All of this planning information should be recorded in a passage planner or log. It will be available the next time you plan a passage and will serve as a good basis for an after-cruise debrief. 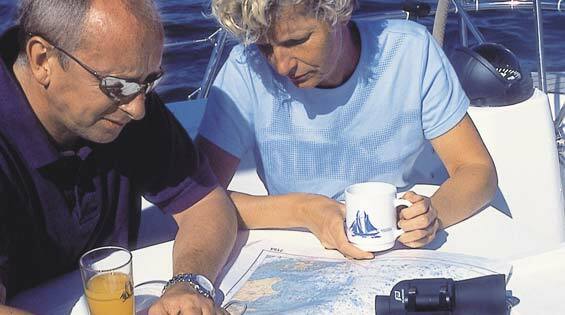 Once your cruising plan is completed, write up your sailing plan. This is different from your passage planner. Your sail plan (also called a float plan) serves to give essential details about your vessel, crew and cruise. Given to a reliable person, it will provide vital information for SAR crews who will be sent to look for you if you are reported overdue. Both Transport Canada and the United States Coast Guard Auxiliary have sample sailing/float plans available for download. Choose one to use and fill it out completely. Leave it with a responsible person whom you can rely on to act if you become overdue. Click here for Transport Canada's Sail Plan sample. Click here for the US Coast Guard Auxiliary's Sail Plan sample. Complete the passage planner, fill out the sail plan and then set off on your next great adventure, sailing the Great Lakes, confident in your preparations.